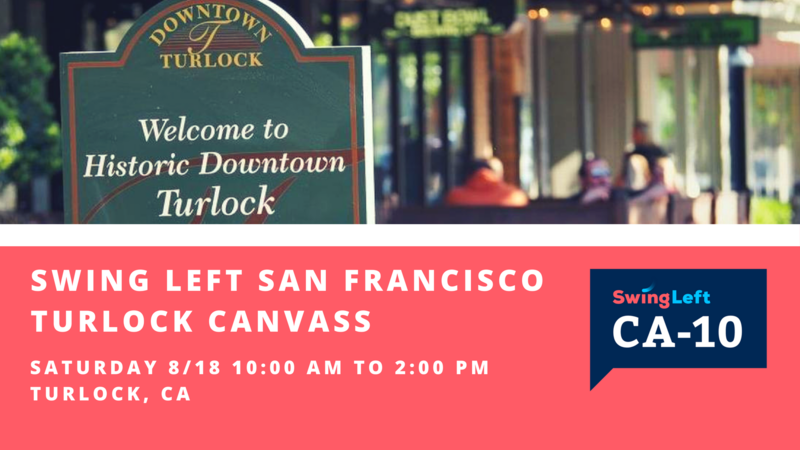 Join me and other Swing Left volunteers as we go out to talk to voters in our Swing District CA 10. If you NEED or can PROVIDE a ride, click HERE for our carpool link and sign up to get to Turlock ! If you need instructions on using our carpool form, click here. We have a great Democratic Party candidate, Josh Harder. And, we have a challenge of getting out even more voters than we did in the primary to win, we need you to help !